This dagger has the unique trait of being the only one in this display case to have a face attached to it. We took the opportunity to ask it a few questions concerning its past and how it feels about its life at the moment. One can assume that it has accumulated innumerable fingerprints over the milenia given that it responded to us in many different voices. 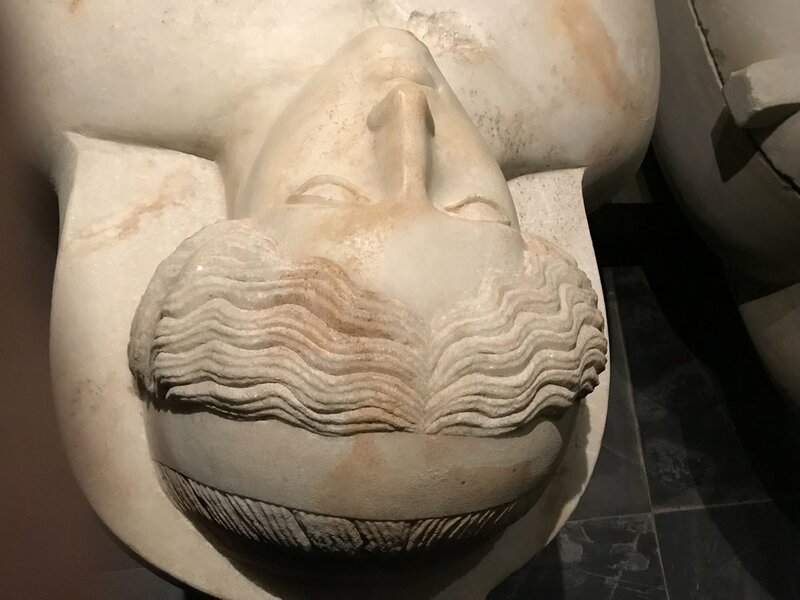 Gazing upon on this sarcophagus, viewers have been led to consider their own mortality. Although they cannot erase what is etched in stone, they have nevertheless replaced the words before them with their own epitaph. 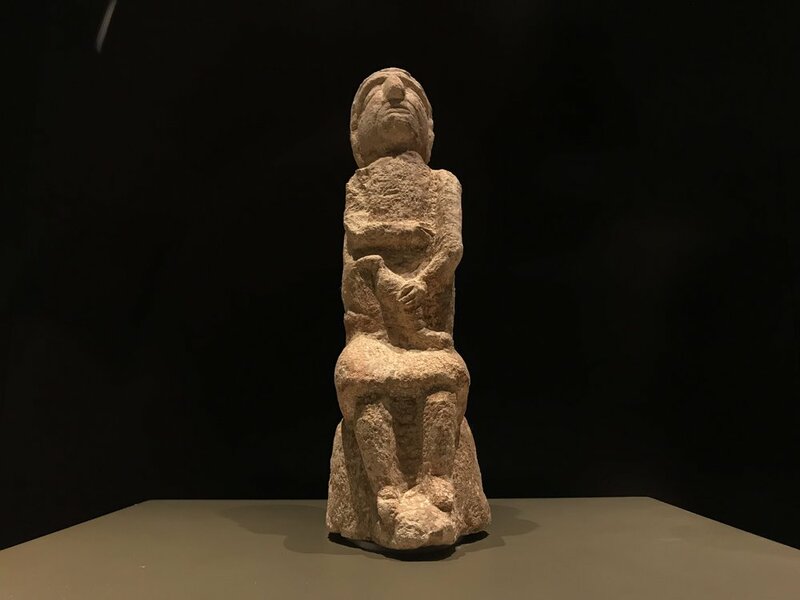 This anthropomorphic figure was asked why it has arms and toes and holds a flower while none of its companions are so well outfitted. It did not hesitate to state that none of the other figures came up to its toes in terms of importance. While its appearance is showy compared to its neighbors, it also has an air of mystery. It is hard to know whether it’s telling the truth with respect to where it got its flower. People have been overheard talking about this figure, not always assigning to it the same gender. Many have been drawn to what it’s holding in its hand, which quite a few of are not ready to see as just a flower. 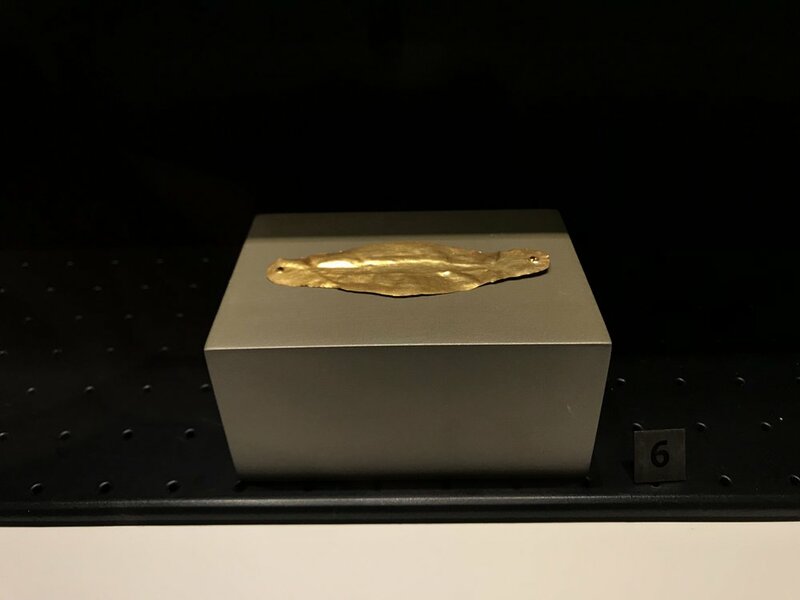 This little object, which some have described as a leaf, has been attributed a value that far outweighs its weight in gold. It seems to have the power to silence people, although there is no agreement on precisely how it can be used to accomplish this. One thing seems certain: there is no shortage of suggestions as to who could use silencing. 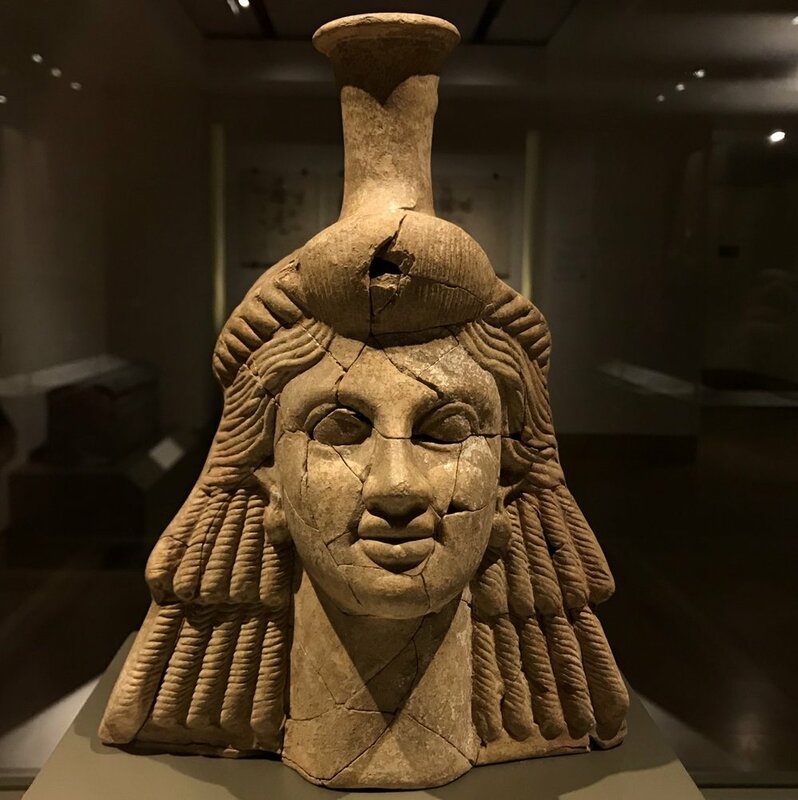 The faint smile on the face on this head-jar has been interpreted in different ways. If one were to write their most precious secret on a piece of paper and drop it inside the spout on the top of her head, some believe that she would reveal the secret to other viewers without any qualms. Some viewers are convinced that she would protect it at all costs. In addition to a lack of consensus as to her trustworthiness, her hairstyle also engendered quite varied reactions. While it is hard to grasp exactly what nationality means to him, there is something in the way he clutches what may be a bird in his hand that gives one the sense that he is holding onto something that could fly away at any moment and that he cannot let go. Perhaps he is afraid waiting for something before he can relax, but then again there may be a completely different explanation that is far less anxiety-inducing.